Techniques to get children to go to sleep; Dame Valerie Beral on reproductive health; pregnancy and childbirth 100 years ago; and awards for Black and Asian women in business 2015. 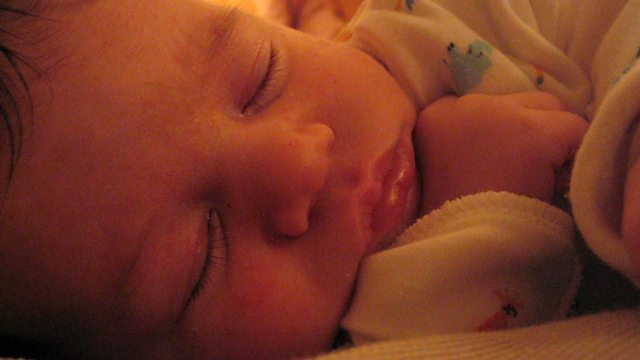 Techniques to get your children to go to sleep with Carl-Johan Forssen Ehrlin, author of "The Rabbit Who Wants to Fall Asleep," and Vicki Dawson, founder of The Children's Sleep Charity. Epidemiologist Dame Valerie Beral on using the Million Women Study to investigate how a woman's reproductive history can affect her health. She talks about her concerns with HRT and why she believes the contraceptive Pill has received unfair bad publicity. Working women's experience of pregnancy and childbirth 100 years ago with Dr Gill Scott, historian of the Women's Co-operative Guild, and actor Rachel Shelley, whose character in the BBC Radio 4 drama Home Front has lost her three-week old son in a cot death. Precious Awards founder, Foluke Akinlose discusses what the 2015 event means for Black and Asian women in Business, along with one of the winners, Kerrine Bryan, a Principal Electrical Engineer.